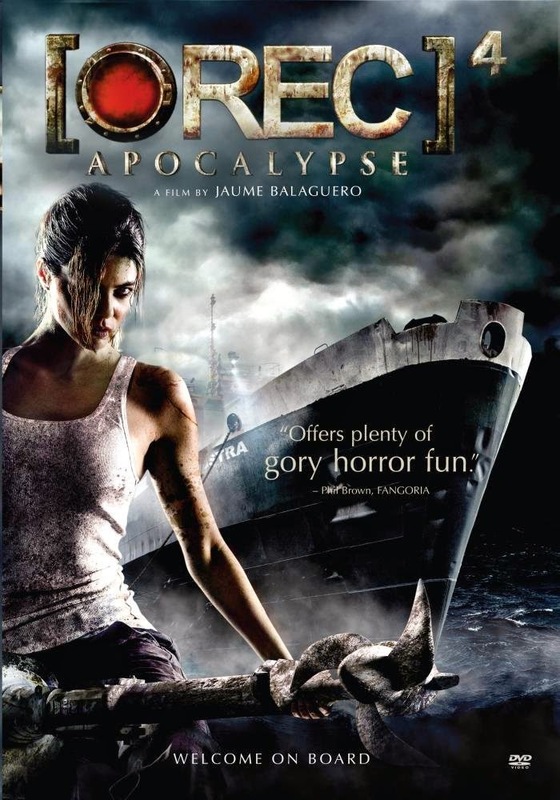 The [Rec] franchise from Spain easily rivals any Hollywood horror franchise of the last decade (including the one based on the original film), and this also may be why [Rec] 4: Apocalypse is such a letdown. While it is only slightly less impressive than the first two, it also has the unfortunate task of following up the most comedically over-the-top installments of the series. Although it is definitely the black sheep of the franchise, I actually enjoyed the graphic gore and dismissal of the found-footage structure in the third installment. Even without the found footage element, [Rec] 4 returns to the style of the first two in a way that feels somewhat dated and unnecessary. The one thing this film does have going for it is a sense of completion; the plot involves survivors from each of the previous films in the series, including a confused old woman from the wedding party of [Rec] 3. There are two of the tactical officers from the second narrative, and Manuela Velasco reprises her role as TV personality Ángela Vidal from the first film. All of these survivors awake on an oil tanker at sea, which has been modified to be a quarantined lab in the middle of the ocean. This premise alone is promising, but the inevitable events that follow never feel as creatively inspired as any of the previous installments. We know that the virus will have an outbreak that makes the franchise’s trademark quarantine necessary, and that this will lead to the demonic zombie attacks in closed quarters. There are two new elements added to the narrative in order to give it an edge from the other films. The first is the idea of an origin parasite hiding within ones of the survivors. There is no clear explanation for why this is necessary, but it provides a few squeamishly delightful sequences of a large worm-like creature. The second addition is also unnecessary, but just as fun. The lab on the ship is testing the virus on live monkeys, who escape to provide some of the more entertaining sequences. Even within the film’s more enjoyable moments, I couldn’t help but wish filmmaker Juame Balaguero had a bit more of the morbid sense of humor found in the previous film, or any of Peter Jackson’s early work. The screenplay seems fitting a Grindhouse tribute, but is instead treated a bit too seriously. While there is some comedic support, there are far too many lost opportunities within the material. The DVD includes a making of featurette.